Documents meant for the review the Consulate General of Egypt (Melbourne), the Iraqi Consulate (Sydney) and the Consulate-General of United Arab Emirates (Melbourne) need to notarised by a notary public and authenticated by the Australian Department of Foreign Affairs. An Authentication is similar to an apostille stamp, but only applies to countries that are not part of the Hague Convention. 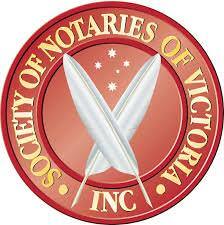 The fees for notarising and authenticating each document are$88.00 and $81.00 respectively. You can pay an extra $7.70 if you with to have them express post- return. Once the documents have been notarised and authenticated, they can be sent by post to the relevant consulates and embassies, without vising them in person. We have three offices in the western areas of Melbourne and Victoria, including one in Werribee, Footscray & Birregurra, making us more accessible and available to Middle Eastern populations. We have vast experience and knowledge when it comes to dealing with Arab consulates from the Middle East and we can help you sort out all your documents so that you can focus on other matters.